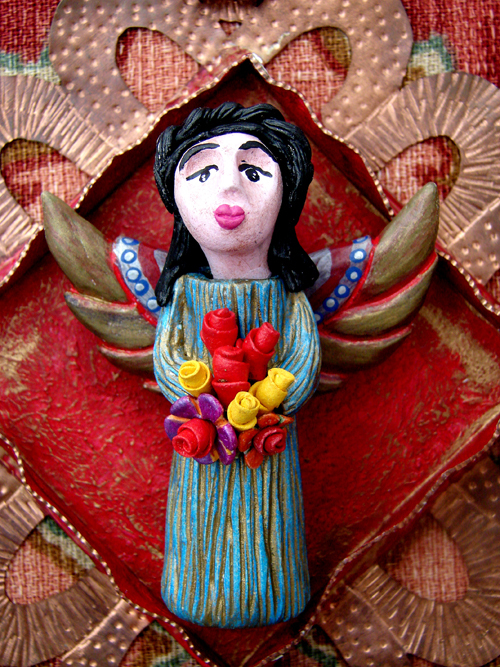 Lorena Angulo: I am obsess with Creative paperclay ! I need an intervention !!! 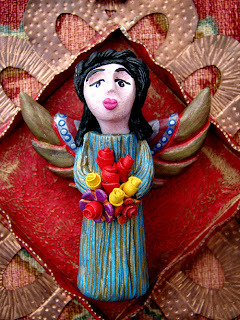 I am obsess with Creative paperclay ! I need an intervention !!! Hola, my name is Lorena and I am obsess with Creative Paperclay ! I have to accept that when I approach a new technique or material I really get into it to the fullest ! Since I got my package of Creative paperclay I have not been able to stop !! I still have one more piece that I am working on right now but in general I finished the whole package and I am feeling sad !!! Are you the same way when you play with a new technique or material ? These are my latest pieces I made and I had a blast making them !!! 3.05 inches by 2.40 inches. Love your work with the paperclay and colored pencils! The expressions on your creations are amazing. I am the same way with any new and old materials..it's staying focused on learning a new technique that I need to work on! 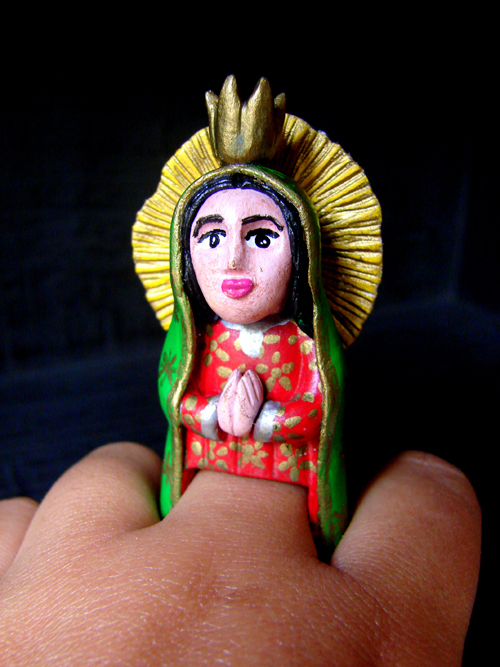 I love your Virgen De Guadalupe RAW ring! Thank You my sweet Lora !! I am glad to call you my friend too ! I love what you've created!! Keep up the work...it's wonderful! I am the same way. I obsess over new materials, tools and techniques. They look wonderful can't wait to see what you come up with next! yep. every time i find a new technique i have to master it...however long it takes! i have never been happier than i am working with the paper clay, though...i can't believe i didn't know it existed until a year ago! love love love the virgin de guadalupe!!! 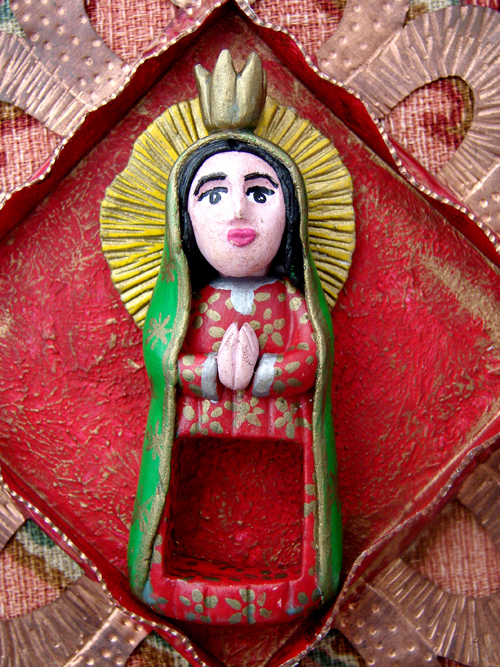 These are quite magical~~I love the angel, although the Virgen of Guadalupe was very important to my catechism class when I was a young 'un. Lorena, get more clay! Amber: Thank you Amber !! I am happy you found it a year ago !! Your work is GORGEOUS !! Chris: Gracias ! ;D I will get more clay, I am sure of that!! Thanks for always commenting in my posts ! !